Randi Ilyse Roth began serving as Interfaith Action’s Executive Director in July 2015. Prior to that, she was Executive Director of Philanthropy for the Otto Bremer Foundation. She led the Foundation for six years, providing strong leadership and grant-making focus that contributed to improved access to higher education, anti-poverty programs for communities in need, and support for disadvantaged youth. She also served for 12 years as a federal court-appointed monitor for a national class action civil rights lawsuit brought by 22,000 African-American farmers. Beginning in 1986, she worked for 16 years at Farmers’ Legal Action Group (FLAG), a nonprofit law firm that provides legal services for farm organizations nationwide. She began working at FLAG as a staff attorney and then served for 10 years as its executive director. Randi earned her B.A. in political science from Yale University, and her J.D. from Northwestern University School of Law. She began her career as a civil legal aid attorney in Chicago, and moved to Saint Paul in 1986 to join the start-up team at FLAG. Randi is an active community volunteer, serving as a member of the Legal Services Advisory Committee to the Minnesota Supreme Court and Minnesota State Bar Foundation. 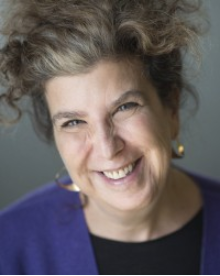 She is a past board member of Beth Jacob Congregation, Talmud Torah of Saint Paul, Magen Tzedek, Jewish Community Action, Jewish Federation of Greater Saint Paul, and Rural Advancement Foundation International. She is an active member of her synagogue, Beth Jacob Congregation in Mendota Heights.